This portrait of Washington super-lobbyist Jack Abramoff, from his early years as a gung-ho member of the GOP political machine to his final reckoning as a disgraced, imprisoned pariah, confirms the adage that truth is indeed stranger than fiction. A tale of international intrigue involving casinos, spies, sweatshops and mob-style killings, this is a story of the way money corrupts our political process. Oscar®-winning filmmaker Alex Gibney illuminates the way politicians’ desperate need to get elected and the millions of dollars it costs may be undermining the basic principles of American democracy. 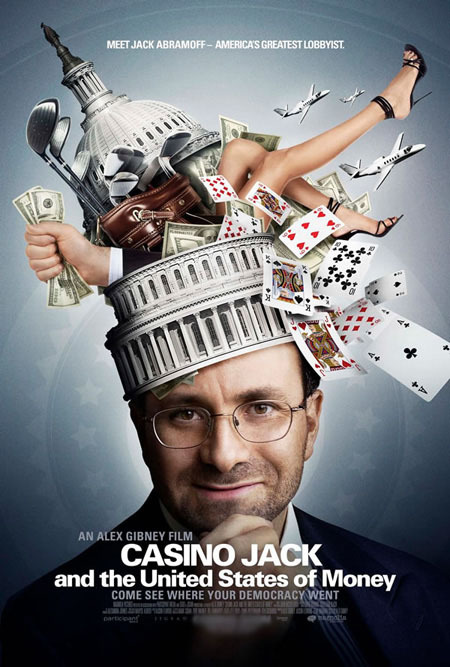 Infuriating, yet undeniably eye-opening and entertaining, CASINO JACK is a saga of greed and corruption with a cynical villain audiences will love to hate.